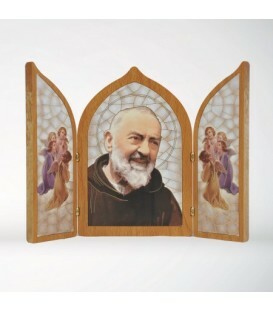 Diptych in MDF painted by immersion and ennobled. 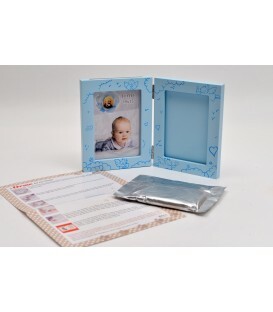 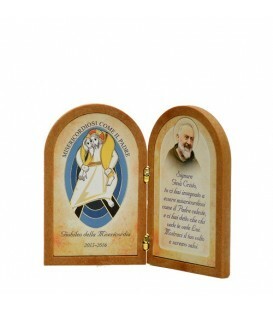 Book closure with Golden zipper. 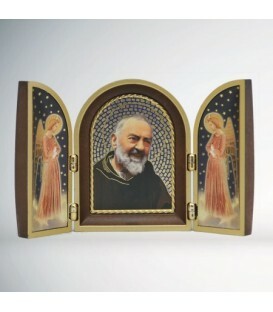 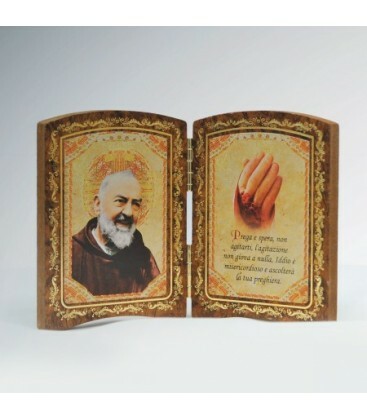 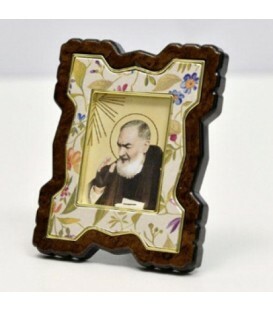 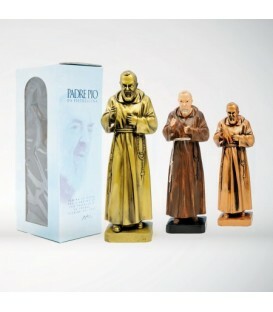 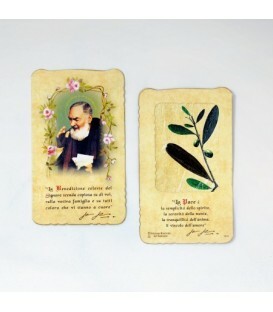 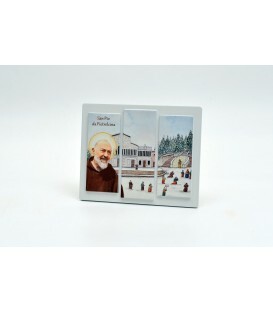 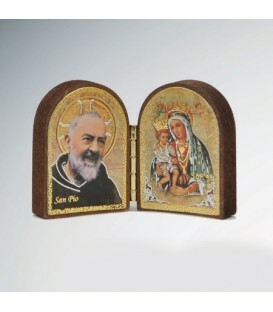 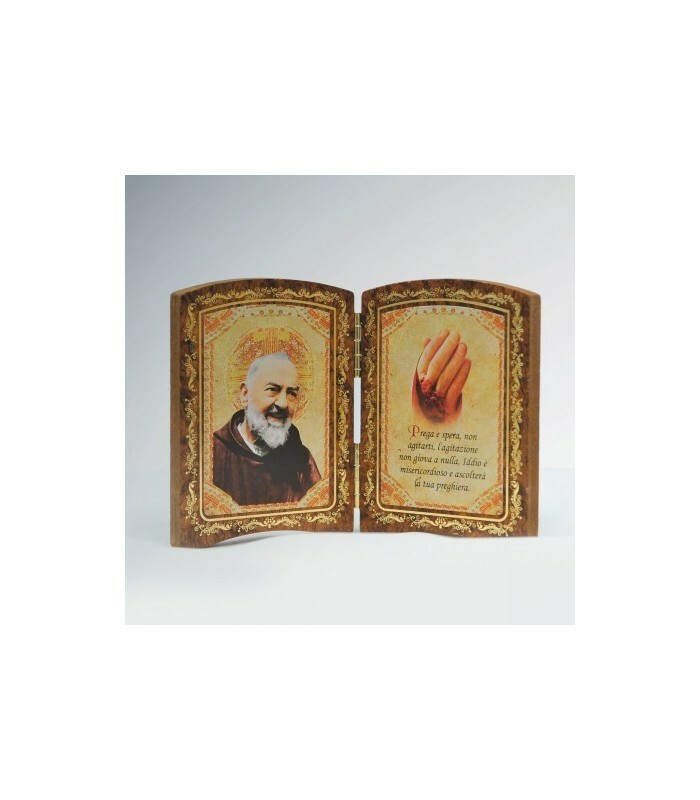 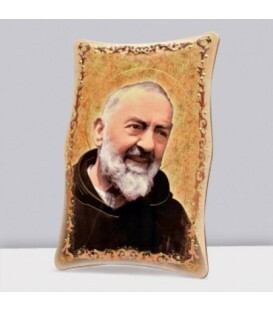 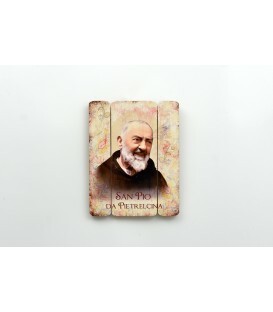 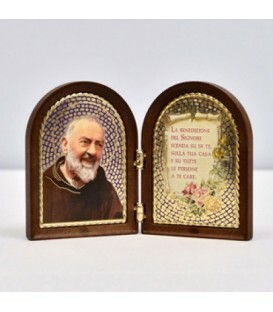 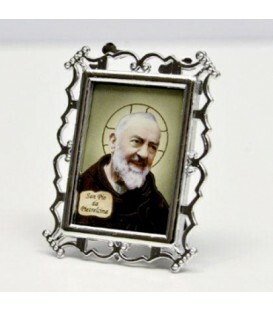 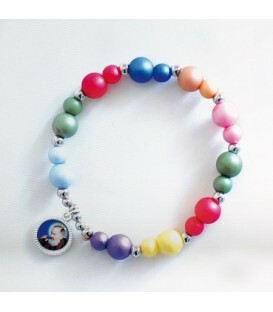 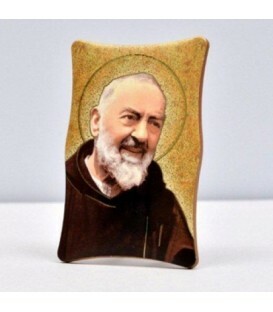 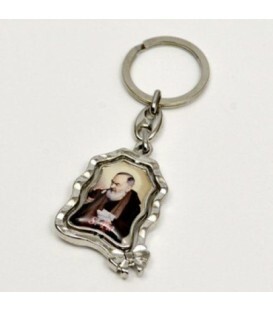 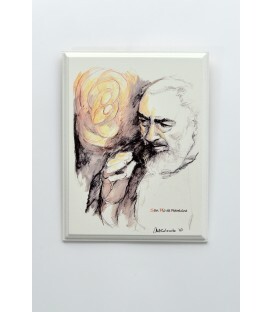 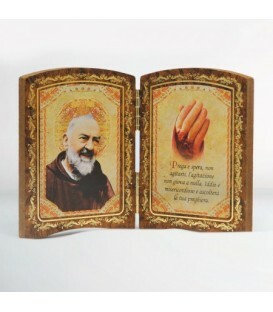 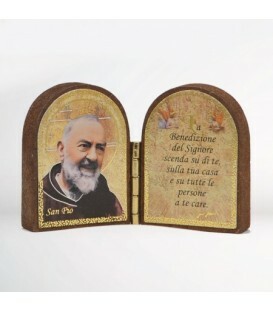 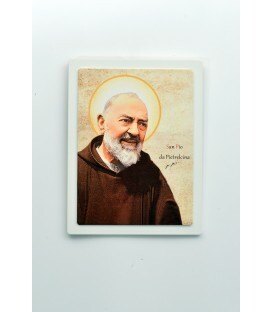 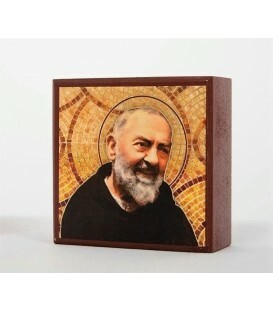 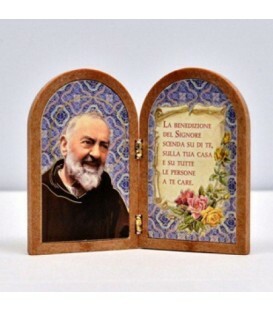 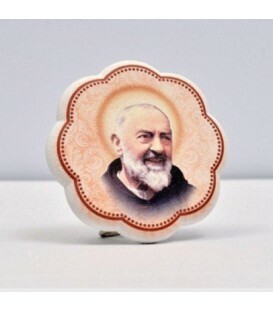 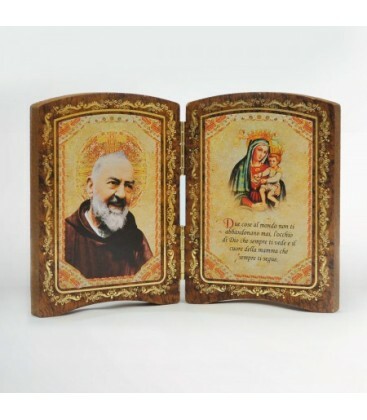 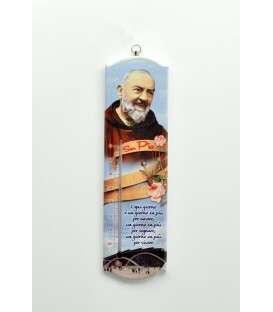 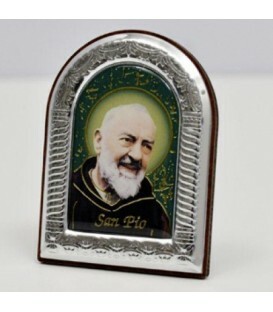 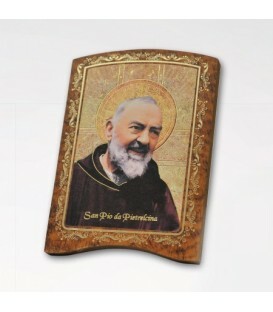 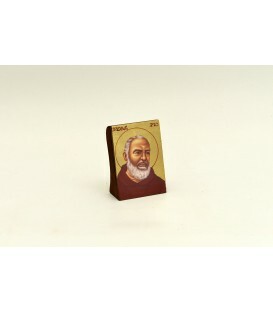 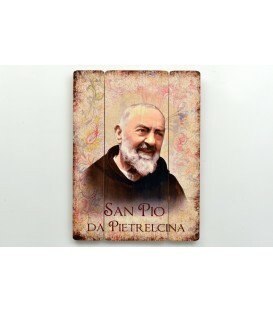 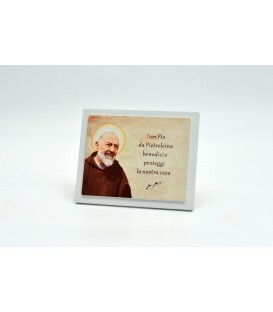 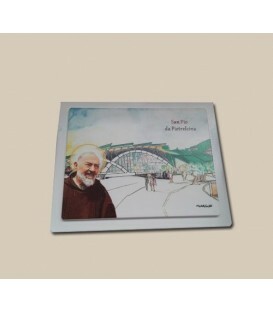 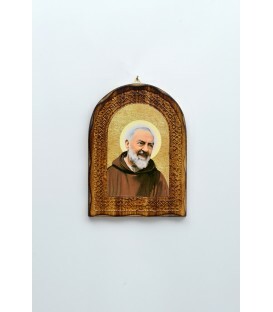 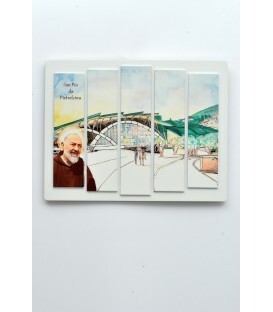 Process-color printing and hot gilding the image depicting Padre Pio, one of his "thought" and stigmatised hand.